In Florida, a parent desiring to relocate with a minor child at least 50 miles away for at least 60 consecutive days must either obtain the other parent’s agreement to do so or must apply to the Court for permission, and the other party must respond to such a petition within 20 days or lose the right to object to the relocation. The Court bases its decision on whether to allow a parent to relocate on several factors, mainly relating to the best interests of the minor child. 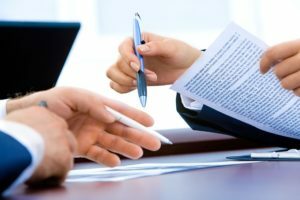 When someone is not complying with a provision in a settlement agreement or an order of the court, the other party has a right to enforce that provision, such as failure to pay alimony or child support, failure to turn over property, or failure to properly follow a parenting schedule. The party whom the provision is being enforced against also has a right to a defense. You may have the right to modify a provision of your settlement agreement or a previous court order. For instance, you may be able to modify your child support amount if there has been a significant enough increase or decrease in yours or the other parent’s income. Upon divorce, each party is entitled to 50% of any retirement funds the other party owns, from the date of marriage through the date of separation. A Qualified Domestic Relations Order, or “QDRO,” is the Court Order needed to transfer those funds from one party’s retirement or similar account to the other party. It sometimes becomes necessary to petition the Court for guardianship of an incapacitated relative or friend. This process involves a multitude of court documents to be filed, an examining committee to be formed, and a final Court Order to be executed. Our office is experienced in this area and can obtain guardianship status for you. Call (904) 322-7702 or complete the free consultation form to set up a consultation.